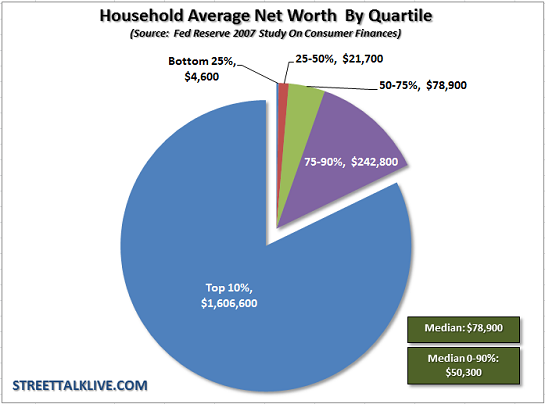 The "middle class" has atrophied into the 10% of households just below the top 10%. The truth is painfully obvious: a middle class lifestyle is unaffordable to all but the top 20%. This reality is destabilizing to the current arrangement, i.e. 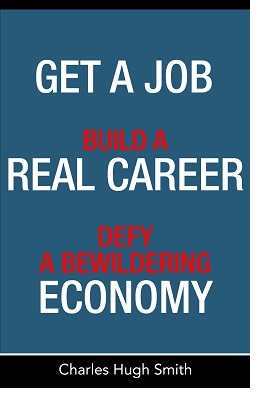 debt-based consumerism a.k.a. neofeudal state-cartel capitalism, so it is actively suppressed by the officially sanctioned narrative: that middle class status is attainable by almost every household with two earners (a mere $50,000 annual household income makes one middle class) and middle class wealth is increasing. It's not that difficult to define a middle class lifestyle: just list what was taken for granted in the postwar era of widespread prosperity circa the 1960s, four decades ago. The key point of these thresholds is that propping up a precarious illusion of consumption and status signifiers does not qualify as middle class. To qualify as middle class, the household must actually own/control wealth that won't vanish if the investment bubble du jour pops, and won't be wiped out by a layoff, college costs or a medical emergency. In Chris Sullin's phrase, "They should be focusing resources on the next generation and passing on Generational Wealth" as opposed to "keeping up appearances" via aspirational consumption financed with debt. I then added up the real cost of these minimum thresholds and arrived at a minimum of $106,000 annual household income--double the median household income in the U.S. According to Census Bureau data, only the top 20% earn this level of income. 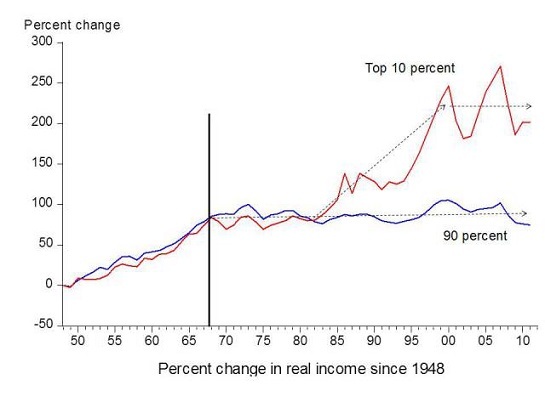 This suggests that the "middle class" has atrophied into the 10% of households just below the top 10%. Households in the "bottom 80%" are lacking essential attributes of a middle class lifestyle that were once affordable on a much more modest income. Note that this $100,000+ household income has no budget for college costs, lavish vacations, boats, weekends spent skiing, etc., nor does it budget for luxury vehicles, SUVs, oversized pickup trucks or private schooling. Savings are modest, along with living expenses and retirement contributions. This is a barebones middle class budget. So how have we maintained an increasingly unaffordable lifestyle? 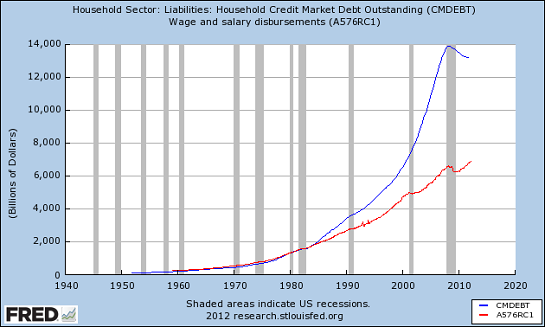 With debt: Wages have risen modestly while debt has increased enormously. But turning everyone into a speculator via financialization had an unintended consequence: widening wealth inequality. It turns out most people are poor speculators, believing "this time it's different" again and again. In addition, financialization favors those with the most capital: this is the essential take-away from Thomas Piketty's book Capital in the Twenty-First Century. The conclusion is inescapable: What's the Primary Cause of Wealth Inequality? Financialization (March 24, 2014). 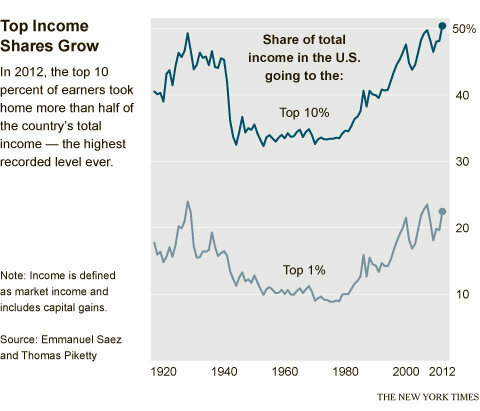 The widening wealth gap cannot be entirely explained away as the result of some innate force of capitalism; the rich have gotten richer as the direct result of central state/central bank policies introduced since the heyday of the middle class forty years ago. So where does this leave us? To answer that, we need to examine the systemic causes of the higher costs and reliance on speculative bubbles that have eaten the middle class alive. We'll address those tomorrow in Part 2. Thank you, Michael M. ($50), for your marvelously generous contribution to this site -- I am greatly honored by your steadfast support and readership. 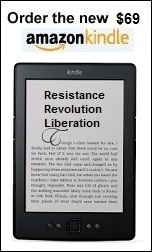 Thank you, Karl L. ($50), for your extraordinarily generous contribution to this site -- I am greatly honored by your steadfast support and readership.